Welcome to Heartfelt and Handmade! In honor of Valentine’s Day, 28 bloggers have joined together to share something they made by hand for Valentine’s Day. 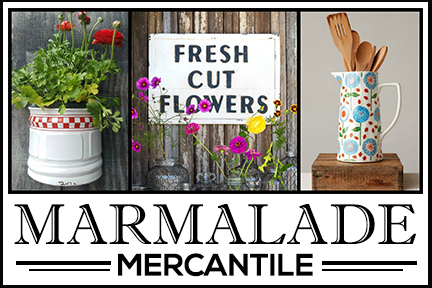 You’ll find crafts, recipe, artwork, printables, and more! Heartfelt and Handmade runs Monday through Wednesday this week and all links are at the bottom of this post (just remember that Tuesday and Wednesday links won’t be live until those days). 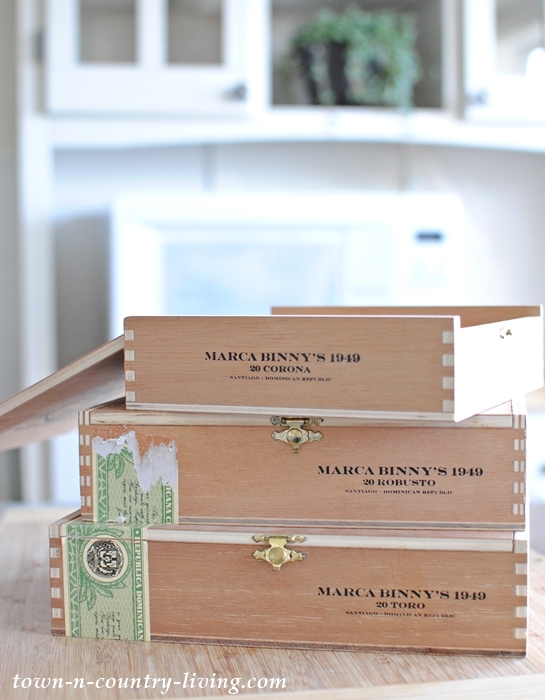 My project shows how to make pretty wooden Valentine boxes from plain old cigar boxes! This isn’t the first time I’ve up-cycled cigar boxes. I once made cigar box planters and I’ve also decoupaged and painted them to sell on Etsy. Today I’m using a combination of paint, pretty papers, and decorative trim. Binny’s Beverage Depot sells empty cigar boxes for $1.50 each. 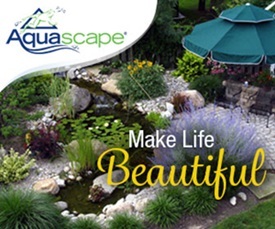 It doesn’t take long to transform them and they’re great for gifting small presents. Some of the boxes have pretty clasps, and some have slide-off lids. You’ll find a range of sizes, too. When painting a cigar box, I find that chalk-style paint works well. 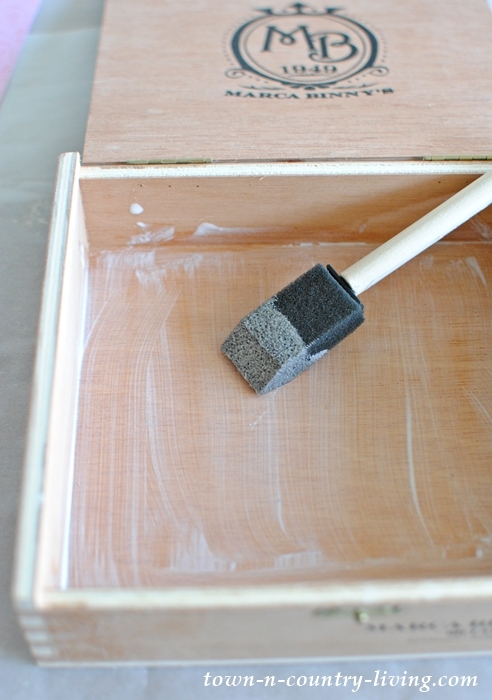 If you’re going to use both paint and paper on your box, it’s best to paint before decoupaging. 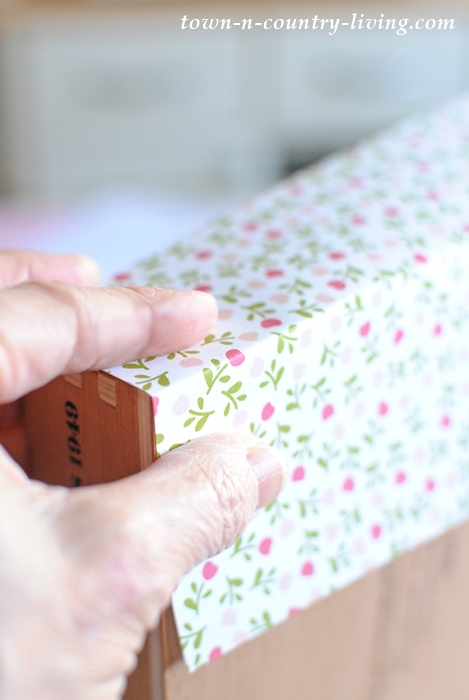 To decoupage the box, first cut your paper to fit the area you’re going to decorate. Brush a thin layer of crafting glue like Mod Podge on the surface, and then carefully place your paper on top of the glue. You can use the edge of a credit card to smooth out bubbles, or simply use your finger to press them out. Just be careful not to tear the paper while smoothing. You can either trace the sides of your box onto the reverse side of the paper and cut it out, or you can press a seam into the paper by folding it over the edge of the box where it’s going to go. Then simply cut along the folded seam. You’ll need to cut around hinges and clasps before gluing the paper onto the box. 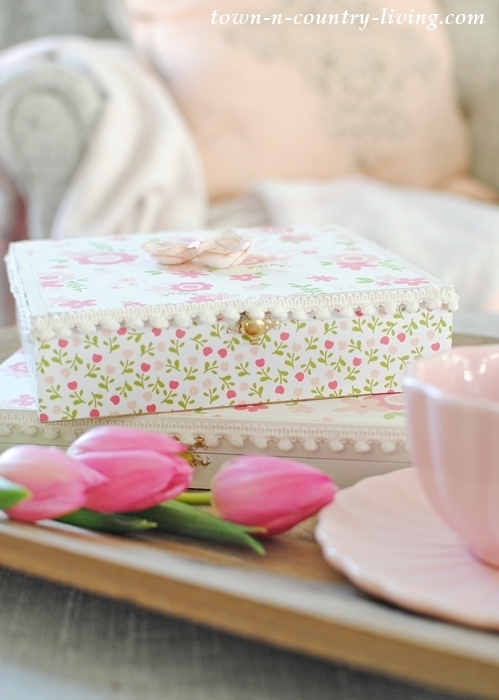 If that’s too time-consuming or difficult, you might want to paint the sides of the box where the hinges and clasps are, and only decoupage the top of the box. 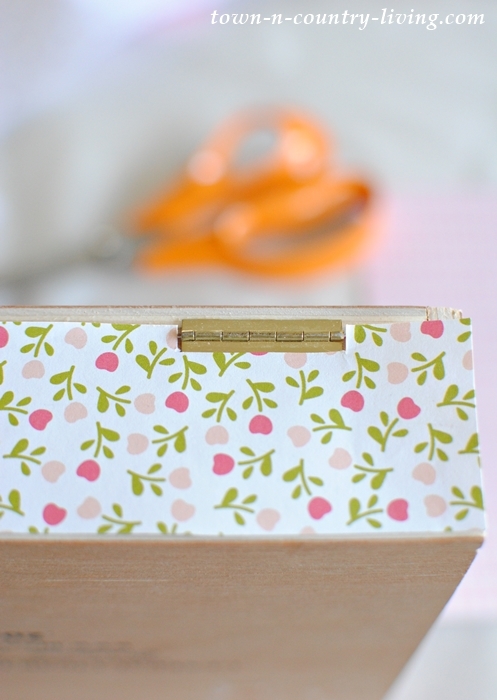 You can add decorative trim around the sides of the box to give it added interest. 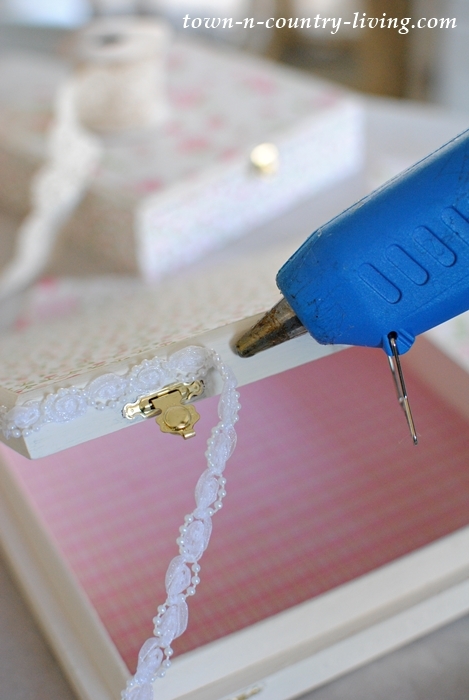 Use a hot glue gun to adhere your choice of trim to the box, carefully working your way around the box. I like to paint and decoupage the inside of the cigar boxes, too. And in case you’re wondering, the boxes don’t smell like cigars after decorating them. My favorite is mini pom-pom trim. 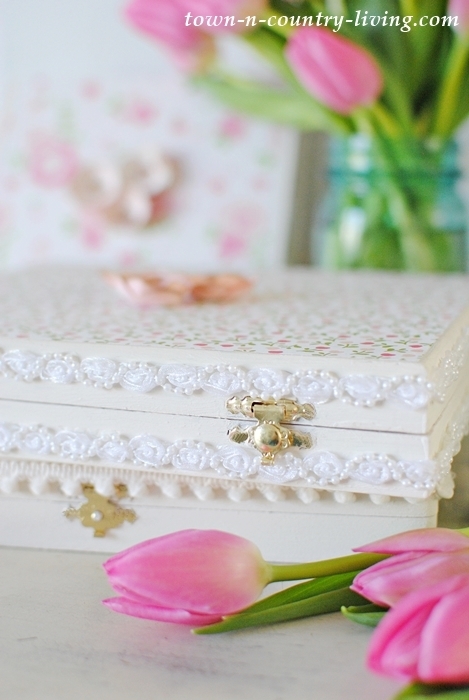 You can add rosettes or other embellishments to the top of the box if you’d like. A dainty ribbon and pearl trim is pretty too. Small details can make a big difference. See – it’s pretty easy to turn manly cigar boxes into elegant wooden Valentine boxes worthy of Cupid himself! Once your wooden Valentine boxes are made, you get to enjoy the fun part of filling them with treats for a friend. Pretty notebooks can be tucked inside for an organized, list-making friend … or for someone who likes to journal. 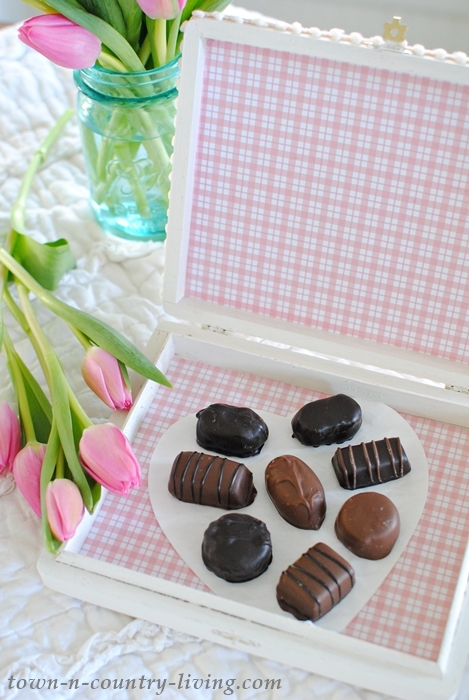 Sweet treats can be tucked inside for your chocolate-loving friend (that would be me!). Doesn’t this look prettier than the red cardboard heart box that contains candy? I like to keep note cards in my decorated cigar boxes. They can also be used as jewelry boxes, sewing kits, pencil boxes, almost anything really! 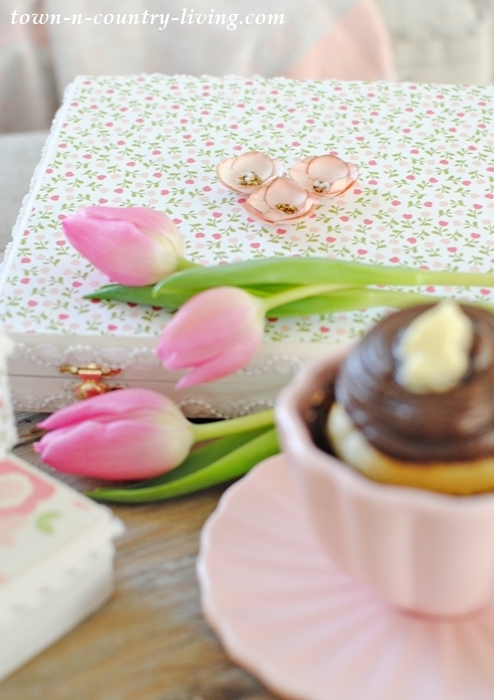 Once the gift is used up (or eaten), your Valentine can keep the box for other uses. I hope you’ll try your hand at decorating cigar boxes. My inspiration was born from my childhood memory of turning shoe boxes into pretty boxes to hold Valentines from schoolmates. 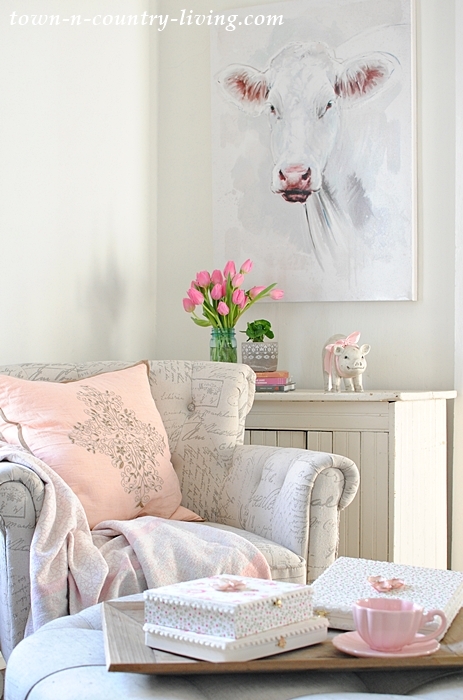 Be creative and mix and match paper, paint, and decorative trim. 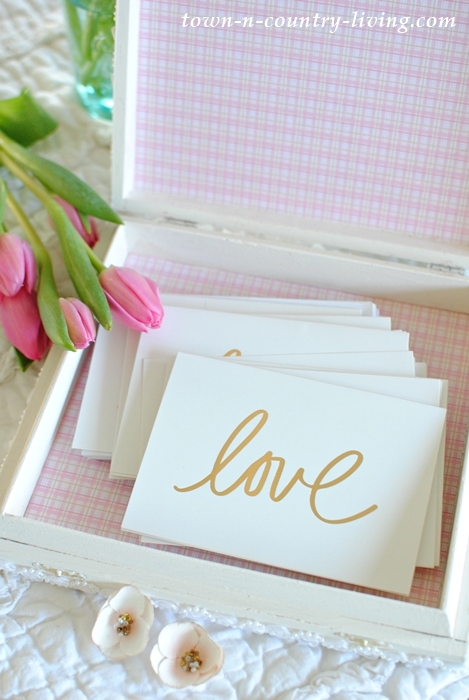 Now hop on over to the rest of this week’s Heartfelt and Handmade Valentine inspiration! You’ll find lots of ideas and I’m sure you’ll find a few you want to try for Cupid’s upcoming holiday. Just remember … Tuesday and Wednesday’s links below won’t be ready until that day. But for now, enjoy Monday’s creations! Thanks so much…these are lovely and inspiring to make! Are Binny’s boxes only sold locally? I’m having a hard time searching for empty cigar boxes on-line, from Binny’s. I think you can only get them from the store (not online). If you don’t have a Binny’s near you – you could ask about them at any store that sells cigars. I’m sure some places just throw the empty boxes out and might be willing to just give them to you. I’ve also seen them at flea markets but vendors will charge as much as $10 for the larger ones. 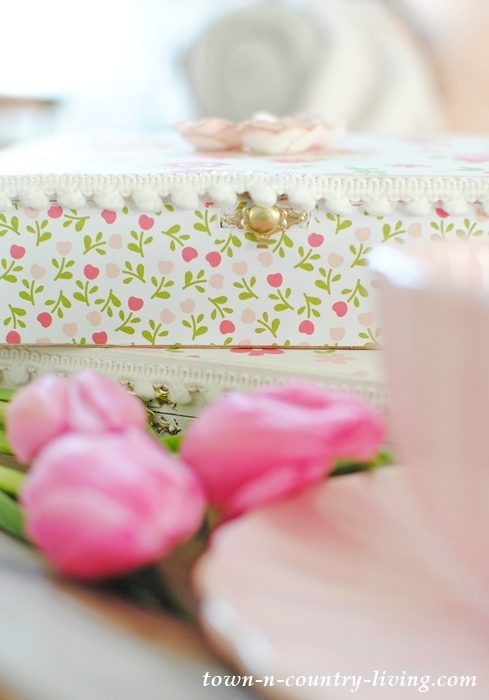 what a sweet way to reuse the cigar boxes and a pretty way to hold things in. Seeing a cigar box makes me think of my grandfather. as soon as we he was finished with the box my grandmother would put the aside for us and we would use to put rocks and chalk and whatever else we could find inside them. Love this idea. thanks so much for putting this beautiful tour together. just the first day and i am so inspired with lovely projects and treats. Thanks, Laura! Some of the cigar boxes I’ve seen are fairly fancy with no need to embellish them. Who knew cigar boxes were so useful? Obviously your grandfather did! These are so adorable! I have got to get my hands on some cigar boxes asap. 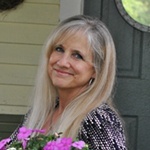 Thank you for sharing your lovely Valentine idea and for putting together such a fun blog hop. Thanks, Emily! 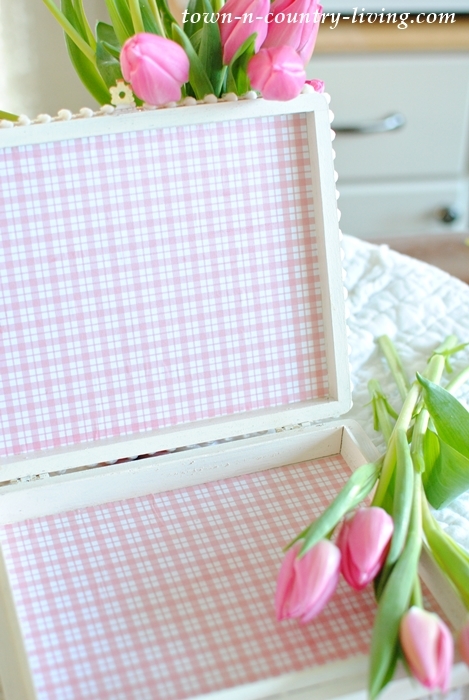 There are so many things you can do with these boxes – and they’re so cheap, too! What a cute idea and they are just the right size for all sorts of things. Thanks Jennifer. Jennifer, your decorated boxes are always so sweet. I guess I need to drive a bit to Binnys. These are so adorable Jennifer! I love the thought of filling them with chocolate and giving as a gift. The possibilities are endless! 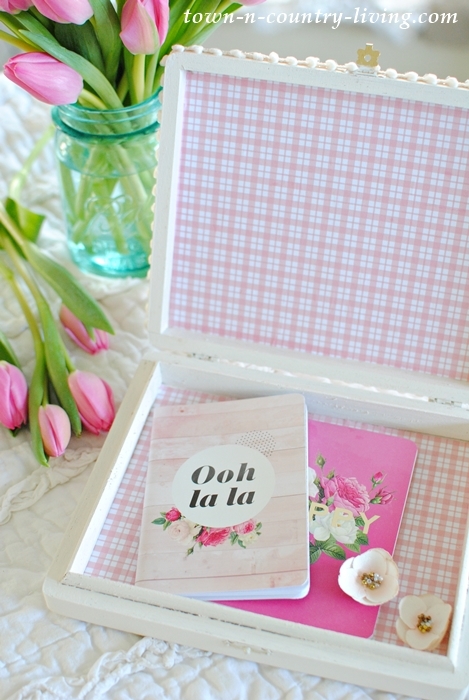 What a sweet little V-Day craft that you could use all year! I think I might even have one of those little wooden boxes in my craft room ready for some love…Thanks so much for all of your organizing, Jennifer! These are adorable, Jennifer! Thanks so much for putting together such a beautiful tour! The boxes are SO cute! 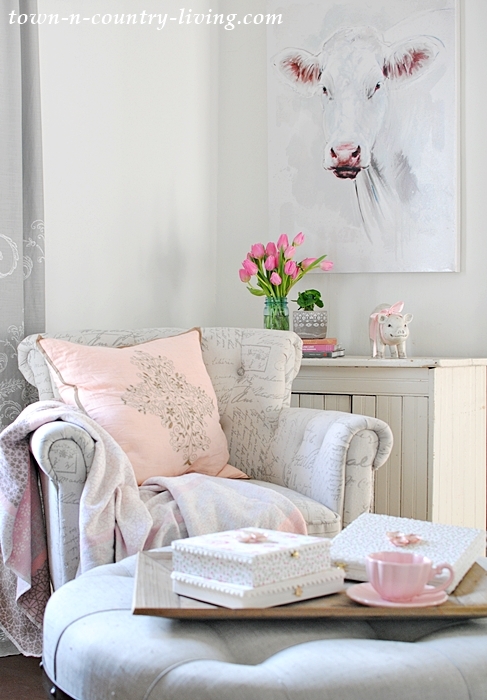 Just love that simple idea and what a great way to use those small remnants of fabric and trim. These are adorable Jennifer and deliciously shabby!! 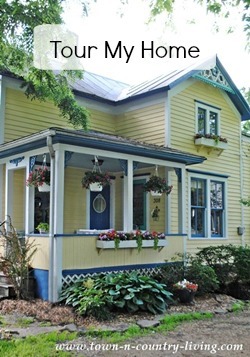 Thank you for organising the Heartfelt and Handmade blog hop. I feel honoured to be included in such a fabulous line up. These are so adorable Jennifer, especially with the little chocolates inside! How pretty! These would be wonderful to store precious cards and notes.